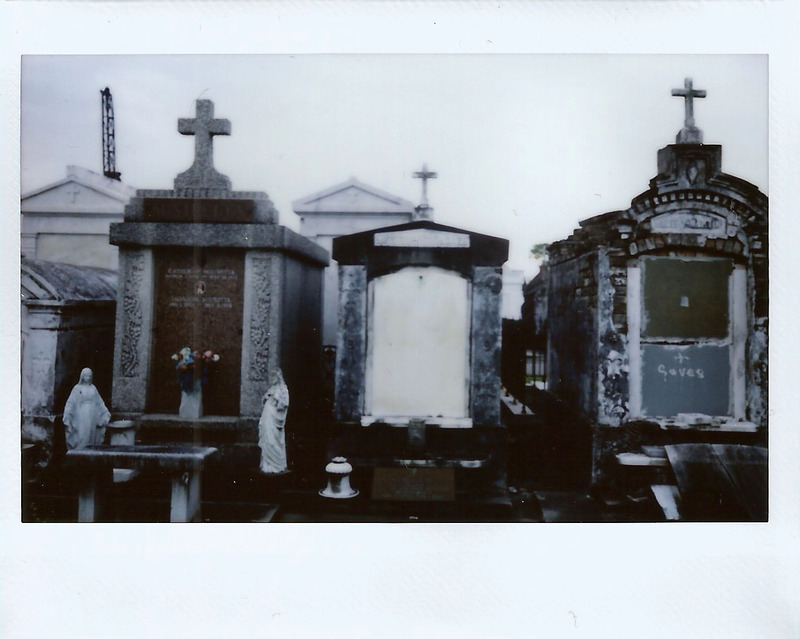 When I was in New Orleans, I brought along my Voigtlander Brillant. 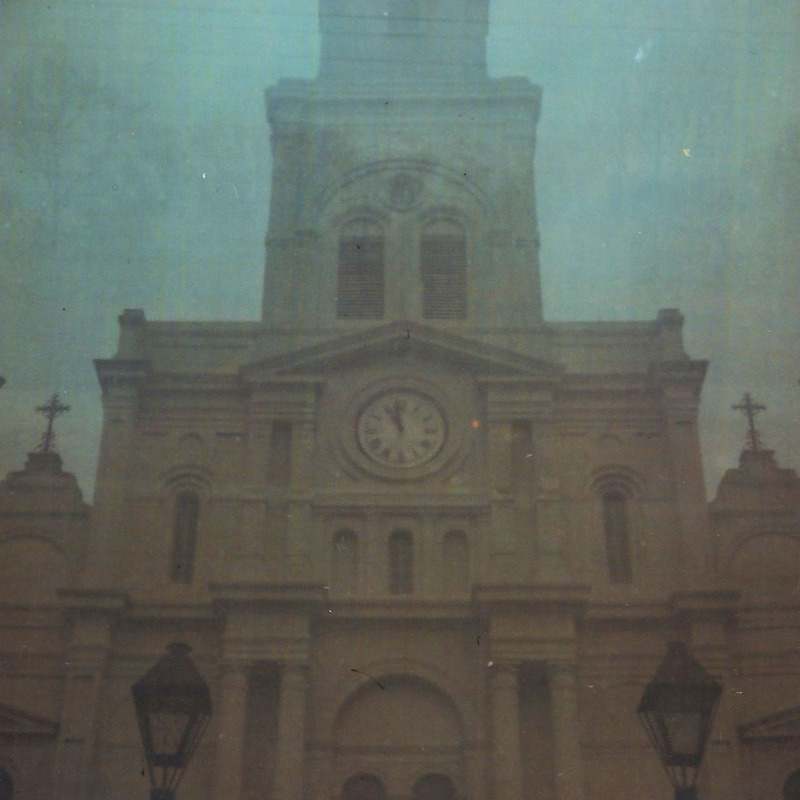 I thought it would be a great camera to bring, since the images that usually come out of it have a weird over-cast antiquated look, and New Orleans is, well, old. I thought it would work out well. Turns out I was right. I took it to New Orleans Cemetery #3 (because that’s where I took most of my photos, to be honest,) and took some shots. Oh, I also took a shot in the French Quarter. Isn’t that old effect cool? 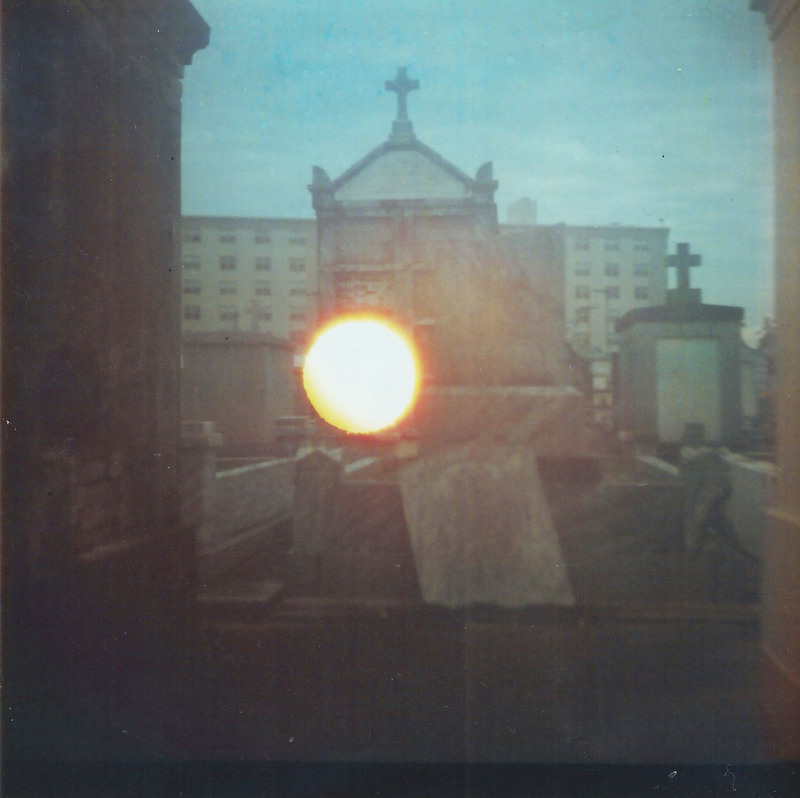 Also, that last image– I’m not saying it’s a ghost but, I mean. there wasn’t a light or anything in the scene when I snapped the photo, and the content interested me because it’s a broken up grave site, so I mean… I’m not saying it’s a ghost or anything, but I’m not saying it isn’t. Let’s have fun and accept it’s really weird. I had a very limited time in New Orleans. Of the four and a half days I was there, I had one day to sight-see. 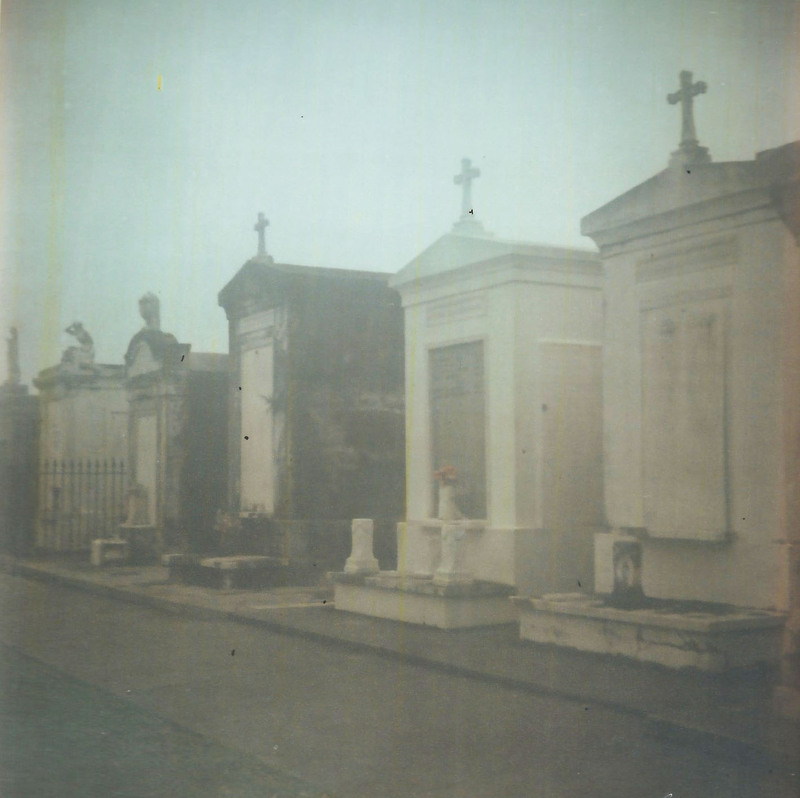 That day, my family and I went around the French Quarter and took one of those bus tours around the city. It was really nice, getting a crash course on New Orleans. We stopped at Cemetery #3, but were only allowed ten minutes to explore. So, naturally, I wanted to come back. The day we were leaving we woke up at 6AM so I could go take pictures at the cemetery before driving alllll the wayyyy back to Michigan. If that’s not familial love, I dunno what is. So, we went, and spent an hour walking around. 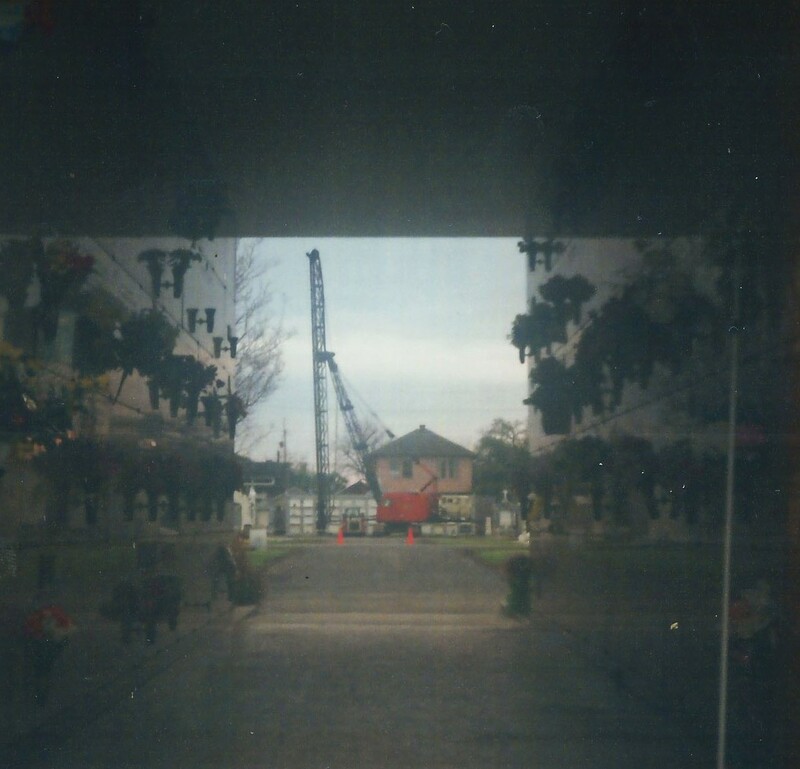 I took a lot of pictures with my Lomo Fuji Instax Mini, and got to do some double exposures with it. It’s a neat little camera. 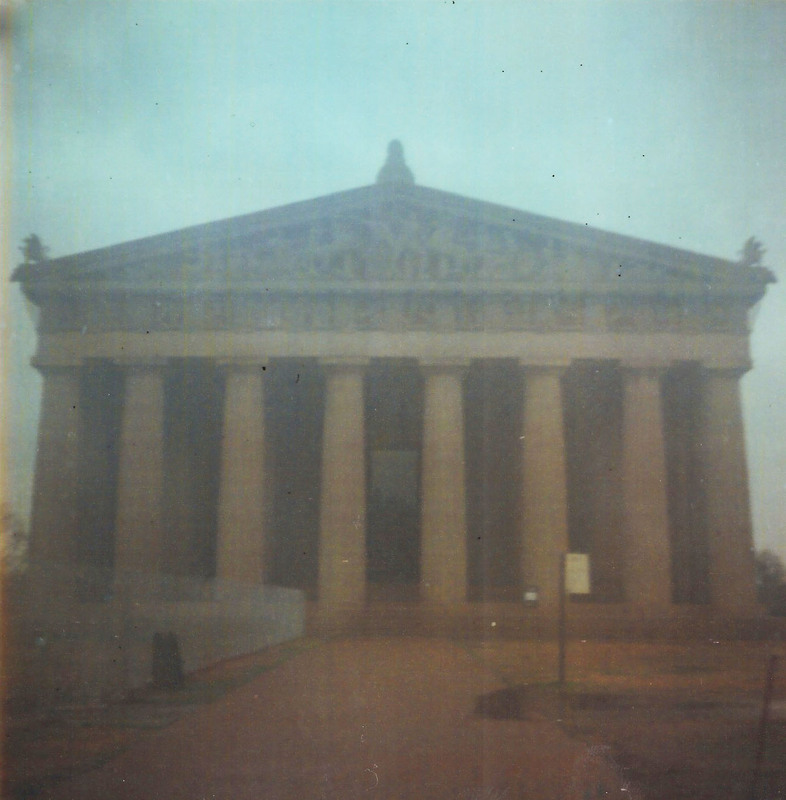 I also took a lot with my medium format (my pitiful Voigtlander,) which I need to get developed. I love that camera because of the antique aesthetic is gives my images. Wow, that was a very hipster thing of me to say. But yeah, antique? Old graves? I’m into that. 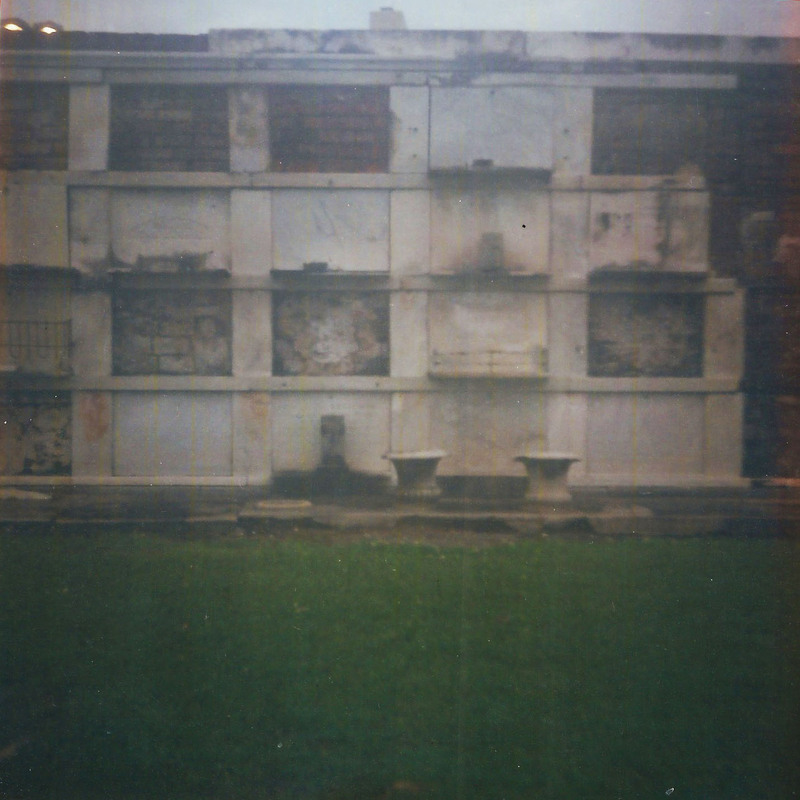 So my mom and I were walking at the edge of the cemetery, where there were these sort of tombs in the wall– think morgue, but lots of them. So we’re walking along, taking pictures because that’s not disturbing to do in a cemetery, and we start to hear this knocking sound. My mom and I looked at each other, made a “no freaking way there is not someone knocking in that wall” face, laughed at the ridiculousness of that idea, and continued taking pictures. But the knocking sound continued. After a while my mom and I were like “okay, this isn’t funny,” and we were the only people we saw in the cemetery. So, who was knocking? So, yeah. We left that place reallllll quick after that conclusion. 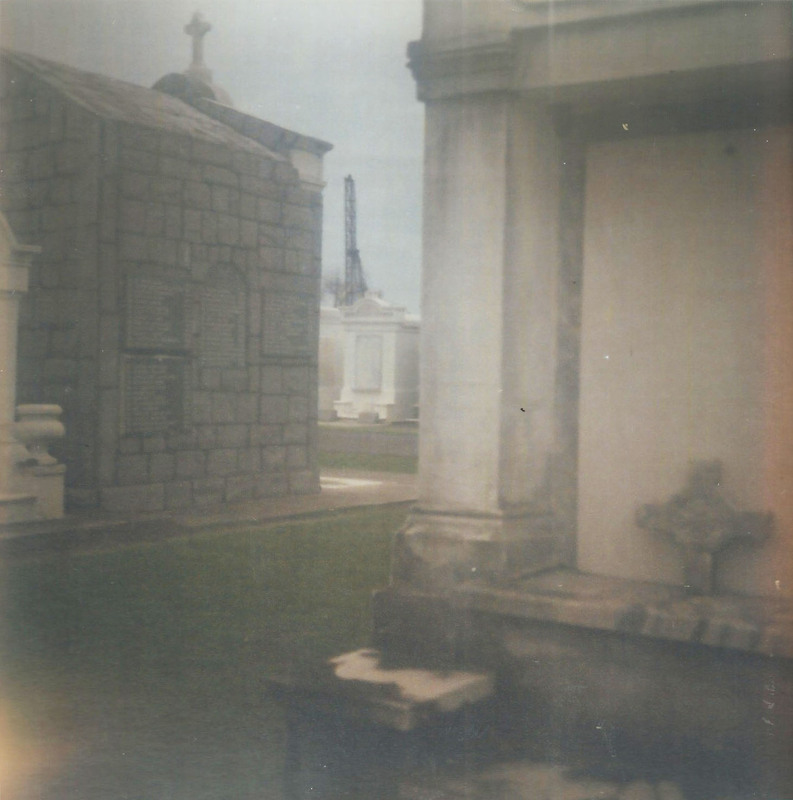 If you’re ever in New Orleans, I recommend Cemetery #3. The more famous ones are #1 and #2, but if you’re not in the mood for crowds, #3 is less visited by the touring masses. Just. If you hear knocking… run.